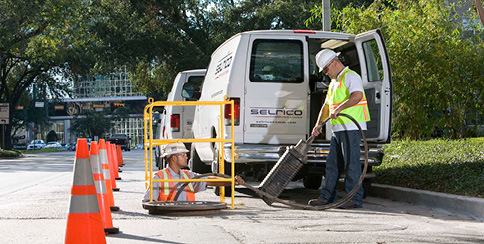 Trust Selrico Communications for all of your custom design and cable installation needs. For over 10 years, we support a range of industries including service providers, utility providers, city municipalities, traffic systems, industrial and chemical plants as well as different government agencies. We provide outside plant fiber optic connectivity, inside plant fiber optic construction, maintenance, repair and consulting services that support an array of services including– Phone, Video, Internet, DMS Signs, Sensors, Traffic Signals, Security, Process Controls and more.